John Murphy was born in Dublin and educated at Trinity College, Dublin (BA) and the University of Cambridge (PhD). He obtained his DSc in 2002. After his PhD, he held Fellowships at the University of Alberta and the University of Oxford. He moved to the University of Nottingham as a Lecturer, and was promoted to Reader there. In 1995, he moved to his current position as Merck-Pauson Professor of Chemistry at the University of Strathclyde. He was also Visiting Fellow to the Australian National University in 1995 and 2007. He held a Royal Society Leverhulme Senior Research Fellowship in 2001. 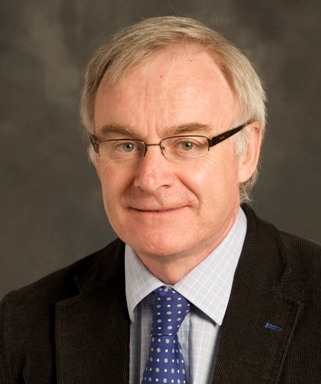 He was elected Fellow of the Royal Society of Edinburgh (National Academy of Scotland) in 2001, and was Director of the Glasgow Centre for Physical Organic Chemistry (GCPOC) from 2008-2013. From August 2006-2008, John was Director of WestCHEM, the newly-formed integrated Research School in Chemistry for the West of Scotland. From 2013-2016, John was Head of Department for Pure & Applied Chemistry.